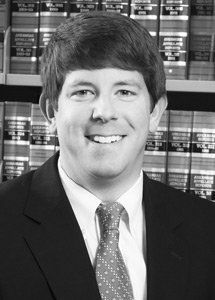 Robert A. Gaines (“Alec”) practices in the area of business, commercial, and general litigation. Mr. Gaines has experience handling a variety of employment issues and cases for corporations large and small. He advises employers and leads workshops on issues pertaining to Title VII, the Americans with Disabilities Act, the Age Discrimination in Employment Act, the Fair Labor Standards Act, and the Family and Medical Leave Act, among others. Mr. Gaines has represented media companies on various matters, including defamation defense and First Amendment issues. He is a contributor to the Media Law Resource Center’s guide to Media Libel Law, as well as its guide to Employment Libel and Privacy Law. Mr. Gaines has also represented creditors in a variety of collection matters. He successfully argued that a rival creditor could not obtain a “super priority” to contingent trust distributions in the Arkansas Supreme Court case J.B. Hunt, LLC v. Thornton, 2014 Ark. 62, 432 S.W.3d 8. Mr. Gaines graduated with a B.A. in Political Science and a minor in History from North Carolina State University. Mr. Gaines became a Certified Residential Real Estate Appraiser in the state of North Carolina before attending law school. He received a J.D. from the Charlotte School of Law in 2012. Mr. Gaines is a member of the American, Arkansas and Pulaski County Bar associations. He is an avid golfer and a member of the Trinity Episcopal Church in Little Rock. He is also involved with the Arkansas Arts Center and Our House. Mr. Gaines resides in Little Rock with his wife Eliza, son Holden, and dog Harriet.